This is the third in a series of posts covering the WePlay Dota 2 Tournament, sponsored by WePlay.ua and primarily casted in English by LD at BeyondTheSummit.tv. I am not affiliated with either of these organisations and you should absolutely support them via your internet patronage or Dota 2 tournament ticket purchase. There wasn’t much especially interesting to talk about in the results of Group A of the WePlay tournament, played out last Sunday, so we didn’t; suffice to say Na’vi advanced with sufficient ease to troll most of their matchups. Joining them in the next stage are substitute team Keita Gaming (fka Out of Tangoes), upsetting the potentially fragile 3-team balance for 2nd by replacing Vivacity Esports, who were forced to forfeit due to a scheduling conflict with the Starladder Pro Series final bracket in which they eventually placed 2nd. Eosin+4, my choice for #2 of the original teams, ran a new lineup that failed to impress, but time and practice with the new roster including joinDota‘s HamSandwich may yet yield dividends. They’ve got a lot of games coming up against a veritable gauntlet of Russian teams, so we’ll certainly see more from them, and earned fans when they deployed the inaugural game for Timbersaw this week on the pro scene in the Alienware Arena finals. Imperium Gamers (fka Down Them All) also looked underprepped but promising, winning their game against Eosin+4 with a bold tri-core lineup (Lifestealer, Gyro, Weaver) but dropping to Keita twice including once with their favoured Wisp. We’ll keep an eye on this team as well. Now, let’s skip forward a week and move on to Group D.
The Retry: What to say, really? “Unproven” seems an imprecise term for a PGG team in 2013, since the points that such a team is seeking to prove diverge substantially from those of other teams. For better or for worse- worse, definitely worse- at this point it’s less “can they win” than “will they show up.” PGG’s once-substantially-less-tarnished status in the Dota community is not for nothing, but I’m not even sure how much this lineup has trained, containing as it does a last-minute North American replacement (Febby) for what was already an eye-poppingly unusual 5th player (ex-SC2 and WC3 pro SelecT, who shortly thereafter was announced as part of QPAD Red Pandas) initially announced in the tournament invites. For what it’s worth, however, the 4 players of The Retry who aren’t Febby have actually been together for a while, at least in PGG-world terms; as GrandfatherS they made a decent run in the Starladder Season 5 qualifiers all the way back in January. They could surprise by picking up a win over Lions’ Pride here; they could surprise by reprising the PGG on Necrolyte they liked as GrandfatherS; they could also surprise by no-showing and wasting all of our time. Lions’ Pride: It’s never good in a vacuum to have roster instability, and it’s doubly hard to deal with roster instability that causes you to lose your star player- as happened with Lions’ Pride when they lost Vigoss in mid-February, eventually to Empire after a long mutual flirtation. Since then, I feel it’s fair to characterize the team as being somewhat adrift; LP have cycled players and role positions in and out around the core of XaKoH , Massacre, and Android, while dropping games even to teams you’d expect a Tier 2 EU team to have a decent shot against, like 4FC. But I think there’s cause for optimism for LP fans. Counterintuitive cause for optimism the first: they weren’t getting much done with Vigoss anyway, like a basketball team with a star point guard that nonetheless can’t pull together a winning season. Clearing out the potential distraction of an underperforming star leaves LP the room to concentrate on fundamentals and developing their young team into a cohesive unit. Cause for optimism the second: LP may have hit upon a working team composition, at least for this tournament. They’ve been practicing and scrimming hard with the lineup they signed up with, including in TMM under the name GoGoNestliK. This shows a very focused team, running a coordinated lineup with the 2 new additions of popular twitch streamer capjack at #1 and NestliK at #5. I also like the hypertargeted hero choices: if you don’t have a lot of time to practice for a tournament, a good approach is to just practice one thing that works! In this case, it looks like LP may well try to draft as much of Dark Seer Safe + Lifestealer/Lesh/SD Aggressive Tri + Mid as possible. Anyway, with the 2nd slot in this group fairly open relative to some other groups in the WePlay tournament, this could be an opportunity for LP to start to rehabilitate their image. 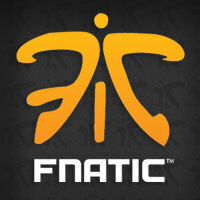 Fnatic.EU: Torrents of e-ink have been expended on Fnatic.EU as their stature in the world of Dota2 has risen and risen. I feel like we’ve already passed through at least 2 rounds of backlash and counter-backlash with the “HoN trash” but the balance of results speak for themselves: Fnatic have won the prevailing majority of their fixtures in 2013 even against the top teams in the world. The next month or so may well bring a stream of laurels to a team that not long ago was struggling to find any wins at all, with playoffs gearing up or winding down in many leagues that Fnatic is highly competitive in: The Defense, Starladder Season 5, Raidcall D2L S2, Premier League S4 (where they recently gave us this quite remarkable game), with quite possibly more to come. The one current concern I have with Fnatic is their recent gaggle of stand-ins for support player and frequent drafter  FlyMyShnekel; they never seem quite as impressive without him as they do with, and if they’re not consistently practicing and playing together we may see a fall-off even with the standard team of 5. Kaipi: Kaipi’s long period in the wilderness without a well defined hard carry role player ended with them picking up EternalEnvy and slotting him in the #1 slot, a reversal of his #5 position on his last team, No Tidehunter. It’s early days yet to say how EE is going to slot in. The initial professional-level games that Kaipi debuted with their new roster were very promising, going 2-1 in a tough group in EMS One playoffs by defeating Team Liquid and AL.Main with Envy on a different hero each time. The rest of Kaipi could probably use a bit wider hero pool if they want to continue growing as a team and going upward in the ranks, however: ArisE relies very heavily on QOP and Magnus, two in-demand mid choices and the team as a whole seems to like Rubick and Bane supports recently. Good choices, all, but potentially counter-draftable. Additionally, I usually say that cross-continental teams may face issues finding practice and scrimmage times together, but if any North American player defies the odds in this regard it’s EternalEnvy. 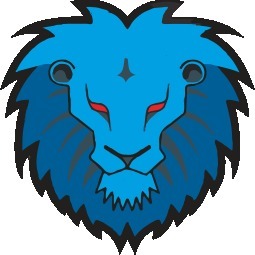 A team that always had pretty good upside gaining a big wildcard is always interesting, and Kaipi’s performance is what to watch if anything in Group D.
Match 1: The Retry vs Lions Pride: The Retry need to clear two substantial hurdles to win this one: 1) have 5 players online in the relative environs of the stated match start time; 2) make sure that their 5th player is on the same page for the potentially freewheeling strategy that the 4 others plan to unleash. If those things happen, this is the place to look for an upset in this group, as the upside potential of PGG teams is always impressive. But the odds don’t favour it. Lions’ Pride. Match 2: Fnatic.EU vs Kaipi: For a team in the running to be considered the best of the Western scene, Fnatic lose games that they probably shouldn’t with some frequency. Especially with one or two standins, the team’s razor-tight focus on gaining an advantage across the map can substantially wane, leaving room for teams to execute counter-strategies that exert a lot of pressure on Fnatic’s usual greedy 2+ core approach before they become major players. So far, teams including EternalEnvy have excelled in situations where they stick to a very clearly planned strategy. I’m unsure, however, how much strategic input EE has on a team he only just barely joined, and it generally takes more than just strategy to topple Fnatic- you need pitch-perfect execution as well, which the new Kaipi have yet to evince in a sustained way. FnaticEU. Match 3: Fnatic.EU vs El’Pride: If Fnatic watched Match 1, they know by this point which heroes LP’s current lineup likes, and there’s no shame in mercilessly banning Lifestealer or SD and then Dark Seer in the first phase, forcing LP to play a comp they’re less practiced with. FnaticEU. 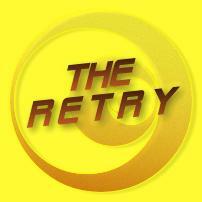 Match 4: The Retry vs Kaipi: PGG+4 gets a second shot at an upset. This is a battle of Trying Very Hard Indeed vs Trying Not At All, and as a certified public matchmaking tryhard, I picked my side long ago. Kaipi. Match 5: Kaipi vs El’Pride: This could be a very interesting game, but again, if Kaipi has been paying attention up to this point in the match cycle, they can deploy some very targeted bans and curry an advantage. In a match of two teams with newly revised lineups, I think the safer bet is the one that just beat Team Liquid. Kaipi. Again, watch the games today, starting at 1700 CET (12PM EDT), on Beyond The Summit. Or buy the tournament ticket on the Dota 2 Store. Pronounced “hakon,” I’m pretty sure. One smart move that Fnatic have done to hedge against possible stand-in issues is to make sure that multiple players on the team can handle the drafting; N0tail in particular has been bringing better and better drafting sense to the table lately. This entry was posted on Saturday, March 23rd, 2013 at 10:00 am and is filed under dota, video games. You can follow any responses to this entry through the RSS 2.0 feed. You can leave a response, or trackback from your own site.